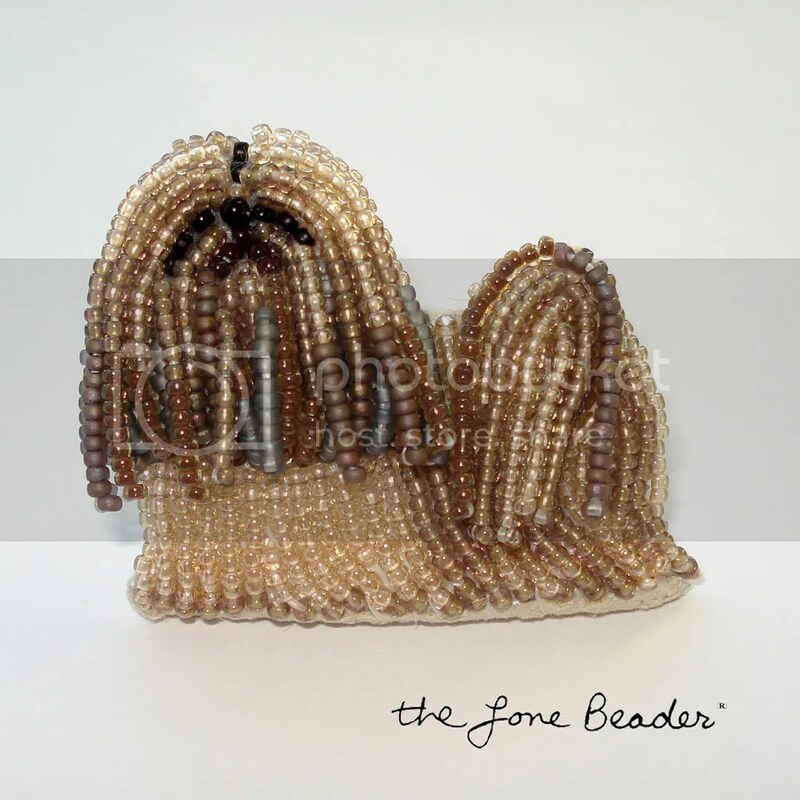 Please check my Facebook or Instagram pages for all the latest beading updates. 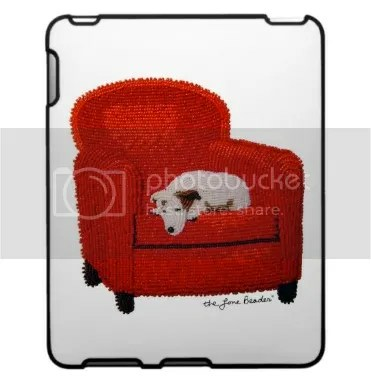 Thank you for your interest in my beadwork! 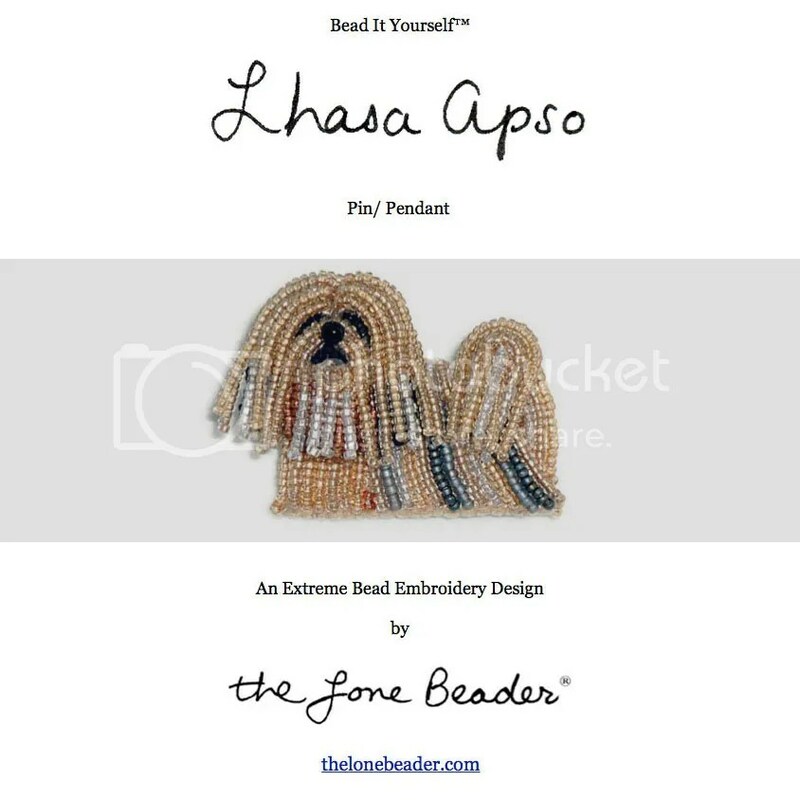 Soon after I sold my first beaded Lhasa Apso pin, I received a custom order request for another one! 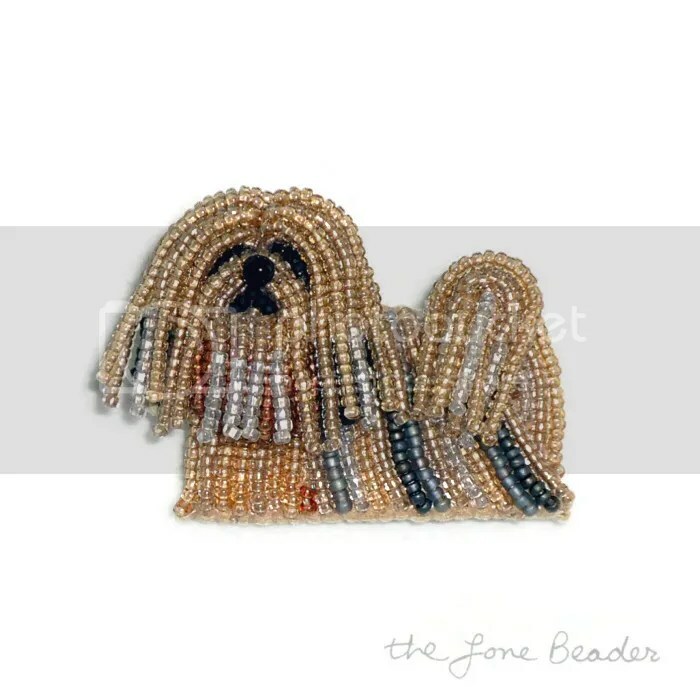 I was asked to create a bead-embroidered likeness of an adorable little dog named Sophie. Next, I dug through my bead stash and picked out 10 different colors of mainly Japanese size 15/o seed beads. The main color which I felt represents Sophie best is a matte silvery-gold – a rather difficult color to find. 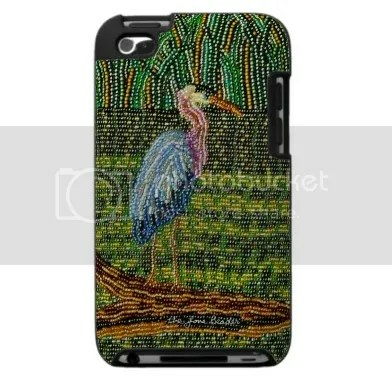 You can see them in the pic above the pink seed beads. These are actually Czech 13/0 charlottes, which means there is one facet on each bead. 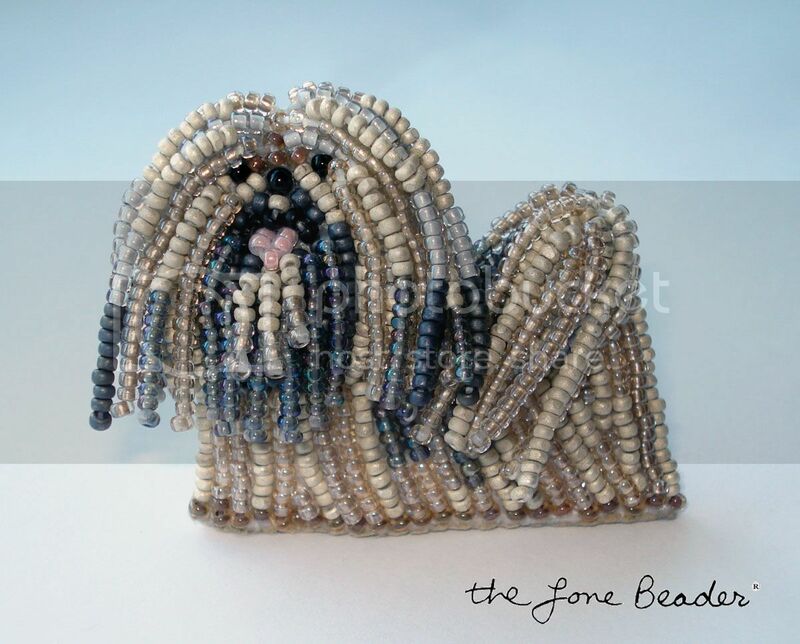 The transparent gray beads I used on her body are also charlottes. They really sparkle in the light! 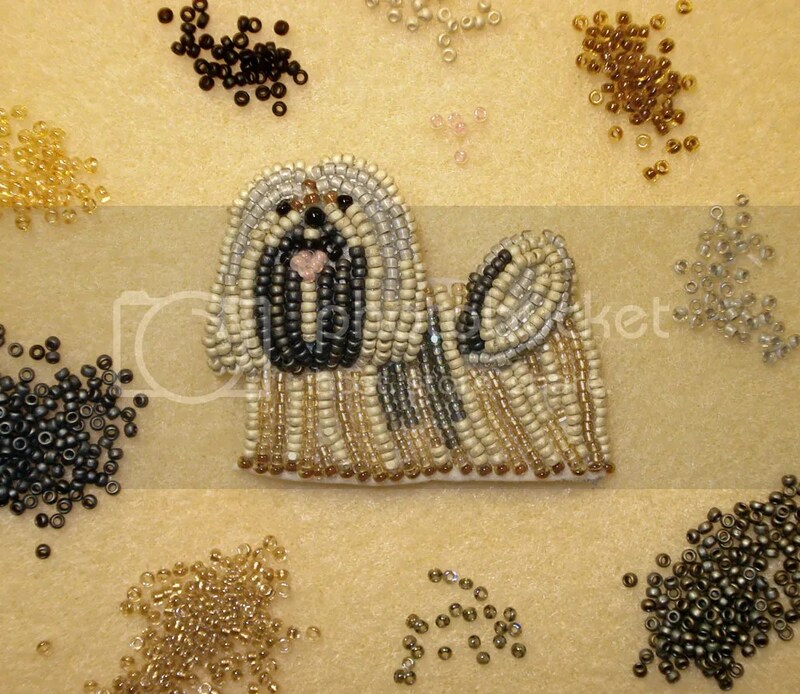 This week, I found the time to create a new beaded dog pin – a Lhasa Apso! 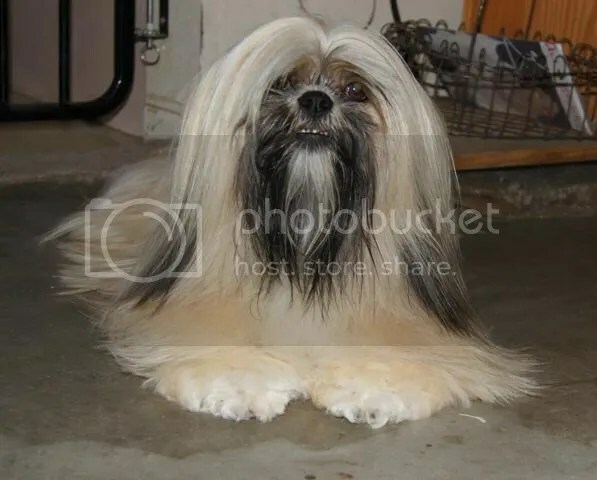 These sweet dogs lend themselves well to beading because they have long beautiful flowing hair. 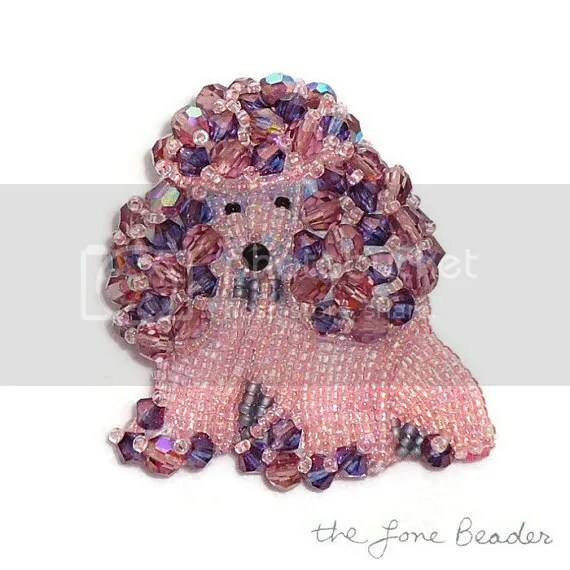 For this pin, I used several different colors of Japanese size 15 seed beads as well as a glass eye for the nose. I layered some beaded fringe on the dog’s head & tail adding just the right amount of visual interest!